Showing your business location by adding your address details somewhere at the corner of your webpage is an old school method. When it comes to online business you have to let your customers and visitors know about your business location. So why not assist them to easily find out your location by adding interactive Google maps in your Blogger blog? 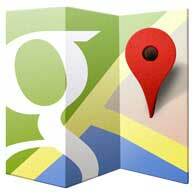 Especially if your business is listed in Google places, you can embed your exact location with more details. Here in this post we will see how to easily add / embed Google maps in Blogger blog pages, posts and even in sidebar. It doesn’t matter whether you are using Blogger as a personal blog, travel blog, for promoting business or to share some information. Google maps will be useful at times in order to show off your holiday destination, business location and tourist spots. So embedding Google maps will really enhance your user experience. Yes because Google maps are flexible, has got more features and moreover it is easy to embed. You can embed Google maps in to your blog in three magnifying views such as normal map, satellite map and street view. Normal map will just show your location from top angle and that will be useful to find directions. You well know about satellite maps where you can discover the whole world in high resolution satellite images. Another advanced technology is the street view where one can navigate through streets and see real architectures. In this article we show you how to embed Google satellite map as well as street view. First head to Google maps and find out your business location in search box. You can enter your city name, street name or even address and Google maps are smarter to find out the exact location. If your business is verified in Google places then you can easily spot out your location with marker. After spotting your location, just click the link icon that lies below the search bar and next to print icon. Now you will see a link below which says “customize and preview embedded map”. Click on that link and you will see a popup window which previews your map location. Now in that preview window center your exact location, set map size and select any one from (normal map or satellite map or terrain map). After finalizing the preview you will see an iFrame embed code below, just keep the window open and now jump to your Blogger blog. Now in Blogger open your posts or pages for example you can embed your map location in contact us page. Switch to HTML editor and now paste the embed code. You can preview the map by switching to normal compose mode or you can preview the total page. Click on publish when everything looks fine. You are done embedding Google maps in your Blogger blog page. We will now see how to embed Google maps in Blogger sidebar. Currently Blogger don’t have any gadgets or widgets in order to add Google maps in your blog sidebar. Anyways adding Google maps in your blog sidebar is same as simple what you did above. Grab the iFrame embed code, but make sure you are setting custom width and height, so that the map fits in to your sidebar. In Google maps you will see a human icon just above the zooming bar. Click on the icon and just drop it on streets. Note Google street view is available only in popular cities. Now click customize and preview embedded map after spotting the location. If you wish so, then set custom width and height. Now grab the embed code and paste it in HTML editor and publish. By embedding Google street view your customers will find an easy way to your business location. Hope this post helped you on how to embed Google maps in Blogger blog. Share it and subscribe to our RSS feeds.